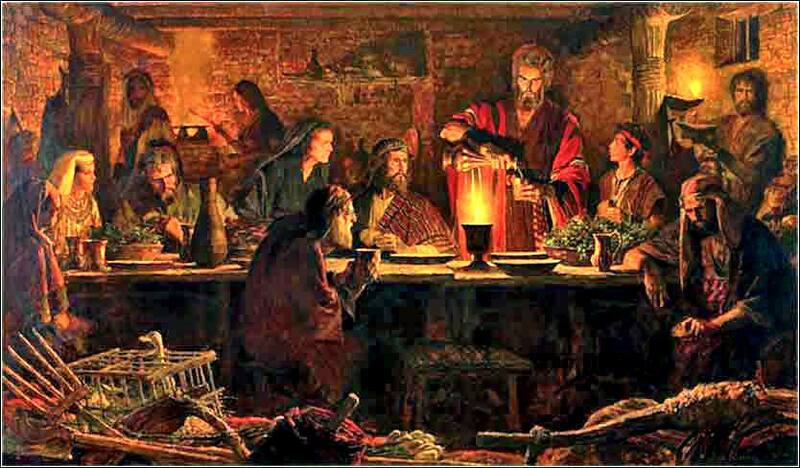 The First Passover, Arnold Friberg ca. 1953. 397 people in our community are currently praying with you. You can't see the places where you belong. But you will find that there is a purpose. You can almost hear it. And pretty soon you'll start to figure out your part. In each one of us; oh, it's glorious. As you discover who you are. It's so amazing, what we're all creating. You will see . . .
by (Saint) Augustine of Hippo, 398 A.D. The Lord said to Moses and Aaron in the land of Egypt, "This month shall be for you the beginning of months. It shall be the first month of the year for you. 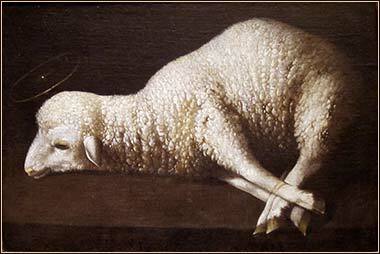 Tell all the congregation of Israel that on the tenth day of this month every man shall take a lamb according to their fathers' houses, a lamb for a household. And if the household is too small for a lamb, then he and his nearest neighbor shall take according to the number of persons; according to what each can eat you shall make your count for the lamb. Then they shall take some of the blood and put it on the two doorposts and the lintel of the houses in which they eat it. They shall eat the flesh that night, roasted on the fire; with unleavened bread and bitter herbs they shall eat it. Do not eat any of it raw or boiled in water, but roasted, its head with its legs and its inner parts. And you shall let none of it remain until the morning; anything that remains until the morning you shall burn. For I will pass through the land of Egypt that night, and I will strike all the firstborn in the land of Egypt, both man and beast; and on all the gods of Egypt I will execute judgments: I am the Lord. The blood shall be a sign for you, on the houses where you are. And when I see the blood, I will pass over you, and no plague will befall you to destroy you, when I strike the land of Egypt." Something momentous is happening. Moses resets the Hebrew calendar and declares that this is day one. (The time probably in late February). Their year will begin in the spring, something else to differentiate them from the Egyptians and, later, the Canaanites. It is when lambs are born, so last year's lambs will be a year old. e also proclaims a ceremony that is a feast to be prepared and eaten family by family. Americans have two such events, themselves — Christmas dinner and Thanksgiving — and so we can recognize what a landmark this is in their lives. The details of the event itself are rigidly ceremonial. First, the family is to declare itself Jewish, separate; it is to mark the three supporting timbers of the house with the blood. 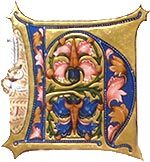 God does not need a signpost to tell who is Jewish; rather, He needs to know who is declaring themselves part of the Exodus. It is the moment of choice. Family by family, the people of Egypt must decide with finality who is Hebrew and who is not. The manner of the meal is a warning to them, a premonition of the life to come. They will act and eat like travelers. No time to wait for the bread to rise, no time to clean the lamb, no utensils cook it, and only bitter (wild) herbs for seasoning. No meat can be left over to spoil. And they dress as if they are about to walk out the door, for a person at home for the evening would set down his staff, take off his sandals, and loosen his belt for comfort. They are like an army which has been garrisoned for a long time, told to mobilize. They prepare for widespread death; they prepare to regroup, formally, as Israel the nation, a nation of tribes and clans and families, separating themselves from all the loose connections to the others of the country where they have lived for centuries. They prepare themselves to travel en masse. And they demonstrate their faith that God will do as Moses tells them.